It is a fact that you are never more than 50 meters from one of Coral’s shops. Alright, that might be a lie, but they are such a regular sight that it can sometimes feel like it. So popular are Coral that over the years they have become a household name with bettors and non-bettors alike. From humble beginnings back in 1926 when their story began, they now offer an online Sportsbook, Casino and Poker Lounge to name just a few, not to mention the 1,500+ shops they operate on high streets up and down the country. 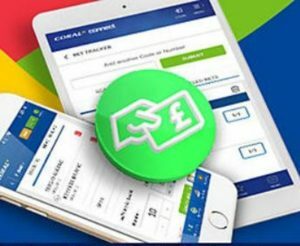 There are few bookies out there that can rival Coral in reputation or range of markets, and they further entice punters with regular generous promotions and enhanced odds, plus more live streaming than you can shake a stick at. All of this adds up to one hell of a betting experience. Coral are a seriously great bookie for the normal punter who just wants to place a few bets a week safe in the knowledge that they are getting fair odds from a trustworthy company. Being an absolute giant of the industry, the expectations on Coral are high. 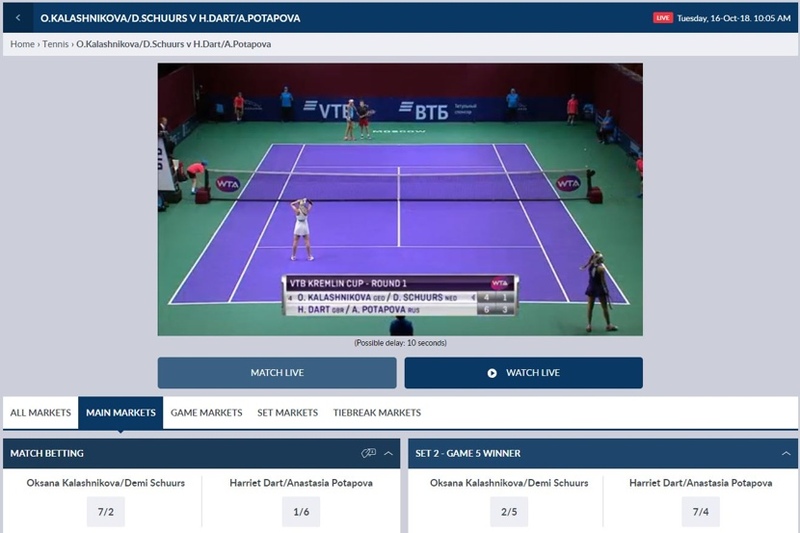 To meet this demand, they not only offer odds on everything including the most obscure of sporting events, but they can also offer an almost unparalleled range of markets within each event. Peace of mind for all you Volleyball fans, no doubt – we know you’re reading. At the time of writing, there are 51 categories to choose from, ranging from Football and Cricket through to Movies and Politics. Add to this the Build Your Bet and the #YourCall features where you can either create the bet you want or contact Coral directly and ask for a price on something that they don’t currently list; and you have everything could possibly need in order to bet to your specific requirements. Taking things further, the highest profile Football match currently taking bets is offering 177+ markets for that one game alone; while there are 27+ markets available for the Serbia B Team v France U20’s. That gives you some idea of the commitment and diversity that is on offer from Coral here, even in niche markets. A good destination for Horse Racing bettors, Coral offer Best Price Guaranteed on all UK and Ireland races, so you can bet safe in the knowledge that you aren’t going to find a more lucrative price elsewhere. Not forgetting the international Tote where you can bet directly into the Hong Kong pools. They are also well known for offering enhanced odds on lots of markets, and with many ante post bets available this can be extremely advantageous if you are the sort that likes to plan ahead. Coral have also implemented colour coded odds, so you can see easily if the odds you are looking at are going up or down, which is a nice touch; and you can opt to view fractional or decimal odds to suit your tastes. A handy top menu inside the In-Play section lets you know how many events are currently taking place (and upcoming) in each category, and a small play icon lets you know which events are available to stream live – although there is also a dedicated section for Live Streaming if that’s what you want. The whole thing is incredibly easy to use and loading times tend to be good, plus, the quality of the live feed is fairly impressive, although the odd glitch sometimes makes for a frustrating few seconds if it’s timed badly – just as Dimitrov is making a crucial serve for example. It all takes a little longer to load on a mobile as you might expect, but actually, the picture quality is pretty darn good once it loads. Just be patient as it boots up otherwise you’ll end up hitting buttons you didn’t intend to hit. 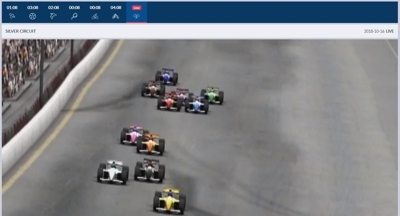 The live games that aren’t available to watch are updated live graphically, but the level of detail varies. Football matches tend to offer a more in depth set of match stats such as possession, corners, shots on/off target, and cards issued; and Cricket matches are also fairly well covered with a breakdown of the scorecard, overs and current innings stats. Less popular sports barely show more than the current score, however, if that – although Tennis will let you know who is currently serving and will give you a basic written commentary, ‘Fault by Renta Tokuda’, for example. All In-Play events employ colour coded odds to let the bettor know if the odds are currently going up or down. This is handy as a quick reference, or to get the lay of the land if you have only just logged on. Undoubtedly, the main selling point here is the quantity of live betting action on display. Most days the number is well into 3 figures, and even in the early hours of the morning there will be bets available. Any of the big Football games will definitely be available to watch live, and Coral are especially hot on Tennis, too. Early week is good for betting on the lesser Tennis tournaments, many of which are also live streamed, and Football from around the world gets a lot of attention; so, if you don’t know much about Vietnamese women’s football, you soon will do after joining this great site. Before we get on to the banking methods accepted at Coral, we have to mention Coral Connect. Being a physical bookie as well as an online one means that Coral’s customers can take advantage, because with the Coral Connect Card, the winnings from a bet placed online can be collected in cash from your local Coral shop. No waiting for withdrawal times, just instant cash in your hand. Essentially, the card allows you to link your betting activities and use your funds however you like. You can bet on the phone, internet or in person, and deposit/withdraw from/to a bank account or to the wallet in your pocket. Whatever suits you. You also get access to exclusive in shop offers and account features, so it’s well worth looking into. The premise behind #Yourcall is simple, but the effect is brilliant. 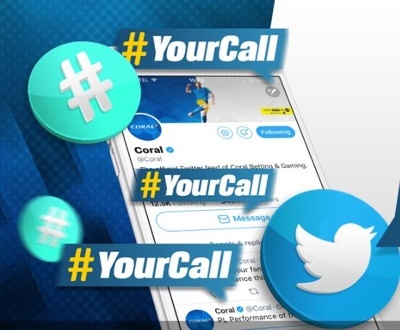 If you don’t see the bet you’re after you can either build it yourself by combining the game, the player and the stats you want; or, you can request a bet by tweeting @Coral with #YourCall. Both choices will get you an instant price that you can take if you like and leave if you don’t. 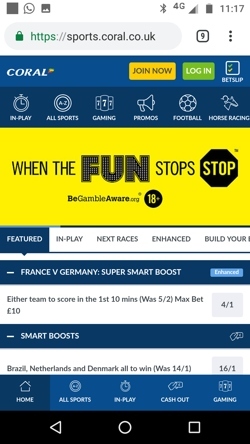 This is great for two reasons: firstly, the punter gets to make any bet they can dream up which gives them a little more control; secondly, it creates a relationship between the punter and the bookie, as well as with fellow punters online who can also opt to take up your bet. If Virtuals are your thing then races/games start every five minutes at Coral, with Horses, Greyhounds, Football, Tennis, Speedway, Cycling and Motorsports being the events on offer. Each sports icon is on show in the taskbar with a timer counting down until the next one starts. We found the visuals a little uninspiring in a 90’s VHS sort of way, but there were a good number of markets there considering none of the events are actually happening. So, if you want to see the Fulham Ravens batter the Chelsea Pensioners at 9/4 you know where to go. As well as being your go-to online bookie, you could simultaneously use Coral as your one stop shop for all the latest sport gossip thanks to their News & Blog section. It’s updated most days and the content is decent, plus, the bloggers tend to be noteworthy; Alan Shearer and Jim Crowley are among them at the time of writing. There is even a Coral TV tab showing interviews with favourites from the sports world past and present. This is updated much less frequently than the written content but it’s a nice touch nonetheless. They all have one don’t they. The Coral VIP structure is fairly pedestrian: play more, earn more points, get more rewards; then reset for the next month. To be fair Coral are pretty transparent with it, and wagering anything from £1k-£4k a month will land you somewhere on the VIP tier, earning you increasingly lucrative rewards such as: exclusive promotions; enhanced comp points redemption; prize draws; enhanced prices; dedicated support; and when you get high enough you even get invited to fancy shin digs. Swit-swoo. If the National, Euro, Postcode and Health lotteries aren’t enough for you then we have good news – Lottobet allows you to effectively bet on lotteries from around the world. Yep, you can take a guess at the winning numbers from Hong Kong to New York for as little as a pound. This is betting at its least taxing, but it’s a fun way to wager a few quid if it is just sat in your account gathering virtual dust. To be clear, you are not entering the lottery itself, you are just betting with Coral on what the numbers might be. The odds can be pretty crazy, though. Sometimes a gut feeling tells you that it’s best to play it safe, even if that means coming away with slightly less profit. If this sounds like you, then keep your eyes peeled for the cashout icon next to any potential bet you are thinking about taking, and you will be able to claim your winnings before the event actually ends – at a reduced rate, of course. You will be able to see the deal before you decide whether or not to take it, but don’t wait too long or the deal might change. Partial cashout is also an option, allowing you to settle between 9% – 90% of your initial bet, leaving the remainder in until the end. It’s all calculated instantly so you can clearly see what you will get back and what your remaining stake stands to win if the bet is successful. It’s not just the Sportsbook at Coral, they also provide a comprehensive Casino product, and your account is set up so that you can use your funds at either. There are around 350 slots to choose from – including a few sports themed ones if you want to keep it topical – whereas fans of a more traditional casino experience can take advantage of 75 different Blackjack, Roulette and Baccarat variations in the Table Games or Live Casino sections of the site. Poker is also available. Playtech handles the tech side of things so everything slots together nicely, and there are plenty of promotions to have a look through as well. If you are interested in the Casino you can read our in-depth review of it here. The Coral website had been due a shove into the 21st century for quite some time, but these days, their site is much better equipped to cope with modern day demands. It’s a contemporary site for the tech savvy punter, and it’s built with business in mind. 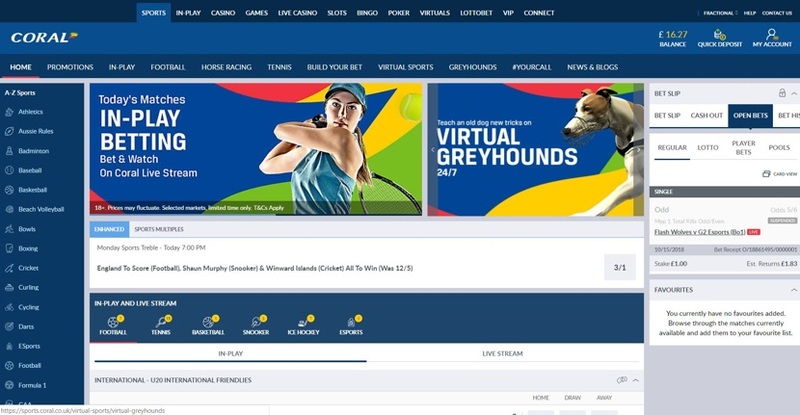 For a sportsbook that offers thousands of markets each week the interface is surprisingly tidy. It provides easy access to all the tools you need to keep your betting experience as fluid as possible – including a Quick Deposit option for those last minute clinchers – which makes navigation easy and allows the player to stay in full control. 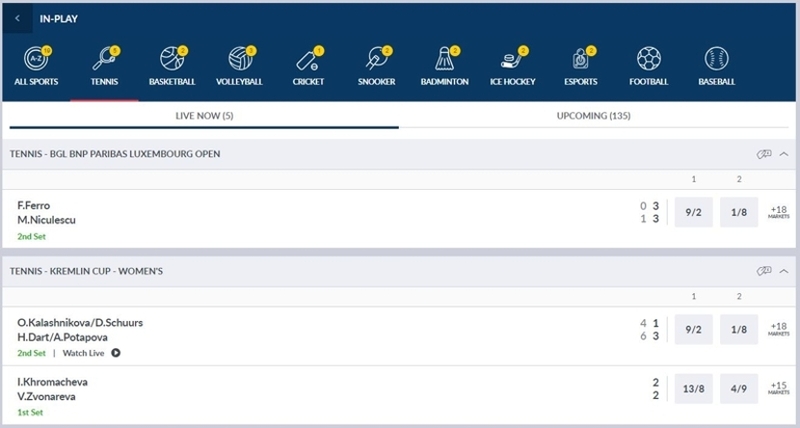 The Betslip is multifunctional and allows you to track your betting history down to a specific day as far back as you care to look, as well as handle your current open bets with ease. The only thing that you don’t have easy access to is Live Chat, but more on that in a second. It’s a site with a lot of moving parts, sure, but they are all well placed and quick to react when selected. This is due in no small part to the OpenBet platform the site runs on. 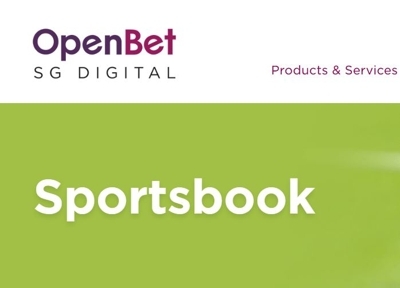 OpenBet have been named sports betting platform provider of the year more times than any other, and they process 2 billion bets per annum, so you can assume they know what they are doing. The only niggle is that some sections of the website – News and Help for example – open up new pages in your browser rather than being contained with everything else. But then again, for such a gargantuan site we can let them off. Just like the desktop site, the mobile site is a well oiled machine. It feels funkier than its desktop counterpart, partly down to the layout and the icons employed, but the colours seem to pop more and it is just as snappy. Plus, if you are used to the desktop site it will feel very familiar to you. All of the most likely options are immediately available via one scroll bar or another, and they react perfectly to the touch; it’s an extremely well developed product and a pleasure to use. They have even given quick access to both the In-Play and Cash Out buttons, which is good thinking from Coral, and perfect for all of those punters betting in real time from terraces with only seconds to spare. One tiny area of improvement would be the Betslip. It’s fine once it’s open, but the button you have to hit to access it is so small that if you have fat thumbs (and we aren’t judging you if you do) you might struggle. Packing so much content onto the small screen is no mean feat, but Coral have managed it with aplomb. It never feels crowded and you are unlikely to get lost. Everything has its’ place and tends to be found where you would expect it. Joe Coral was just 23 when he unwittingly started the company that would grow and develop to become the household name it is today. Joe was a Polish immigrant and a hard worker, but he had a few run ins with the law, and this characterised the early days of his business too as he ran both legal and illegal trades, and even had run ins with the real life Derby Sabini. If you recognise the name but don’t know why, it’s probably because of Peaky Blinders. Fast forward to 1963 and Coral had become a public limited company operating 23 shops on a commercial and, most importantly, legal basis. The company now diversified into casino’s, bingo halls and hotels, and in 1970 a merger with another bookmaker set them on the road to becoming the Coral Leisure Group. 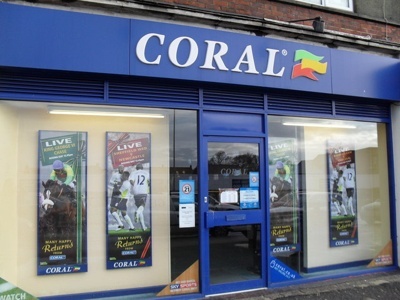 Half a decade later and Coral had expanded massively, now operating around 650 shops and standing tall as one of the ‘big four’ bookmakers. The huge annual profits Coral were bringing home caught the attention of the brewing and entertainment company Bass, who acquired Coral in 1981, and made Joe a major company director and president of the bookmaking firm. This lasted until 1998 when Bass sold Coral to the Ladbroke Group, although by that time Joe had sadly died at the ripe old age of 92. And so the company entered an era of corporations and acquisitions, acquiring Eurobet in 1999, and then being acquired themselves by Gala in 2005, becoming the Gala Coral Group. This period saw a few ingenious ideas spring up such a Coral TV and Coral Radio, as well as Coral Dugout which offered expert football analysis. However, by the end of 2016 Coral had once again been acquired by Ladbrokes resulting in yet another name change, this time to Ladbrokes Coral, although both companies’ shops operated under their individual names. A mere 2 years later in 2018, the online gambling company GVC Holdings PLC acquired Ladbrokes Coral taking on the 28,000 strong workforce and the 3,500 high street shops. GVC Holdings was 14 years old at the time, Coral was 92. Coral works equally well for the hardened pro and the casual once or twice a week gambler. If you are the sort who takes every wager seriously, you will no doubt have your own way of working anyway, but chances are Coral will be one of your better options a lot of the time. If you just like to put the odd no hassle wager on a few times a week then Coral is definitely a good shout. You have a wealth of market choice, the ability to take some time to tailor your bets if you want to get stuck in, and you know that the odds you receive will be fair, even if there might be a slightly more lucrative opportunity somewhere else. Apart from anything else, every product they offer works. Reliability is what you get with Coral. We only have good things to say about the level of customer support on offer here. The team are well trained and handle queries with patience and expertise. You can’t even find too many grumblings online, and for a company this size that is quite something. E-mail response times seem to be good, and if you prefer actual human contact you will be pleased to know that there is even a phone line you can call. What’s more, all of this is 24/7, so whether you’re an early bird or you burn the midnight oil, help is on hand. Live Chat – This is all handled via the Help Centre. It’s a bit convoluted and a simple ‘Chat’ button would be appreciated, but once you get to the right place the team respond quickly. E-mail – Sending your query to help@coral.co.uk will allow the team to get back to you at their leisure. So if it’s not urgent maybe go for this option. Phone – Free phone 0800 44 00 11 at any hour of the day any day of the week. That’s what we call service. 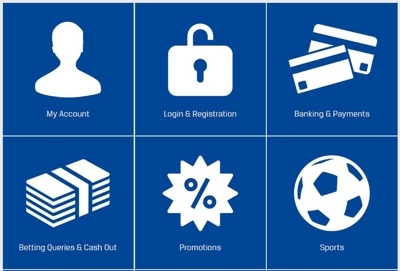 @Coral – Heavily focussed on Sports and very active, although not specifically created for support. @Coralhelp does exist, but we think they may have lost the password as it’s dead.